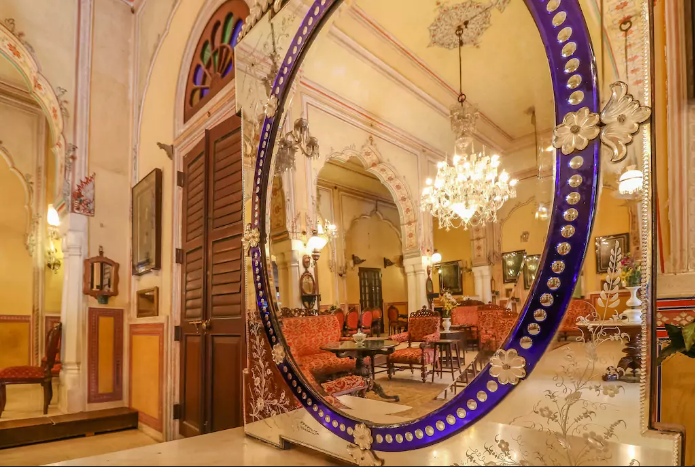 This Rare Heritage Homestay In Jaipur Is Giving A Blowout Deal At INR 3300/Night! 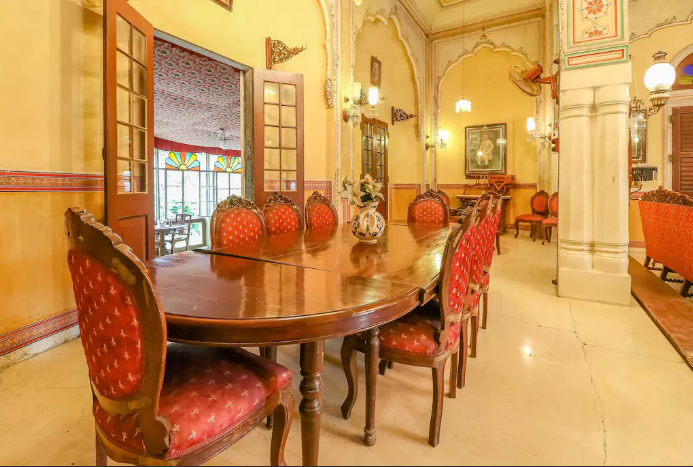 For all those people who cannot bear the Delhi winters, this royal heritage homestay in Jaipur is for you! And guess what? You don’t even have to spend a fortune to experience the warm climate of Rajasthan! Now, we do agree with you if you think that nights in Jaipur are as cold as Delhi. But at least the days aren’t! Sunbathing on your mind? Hey! Same here! 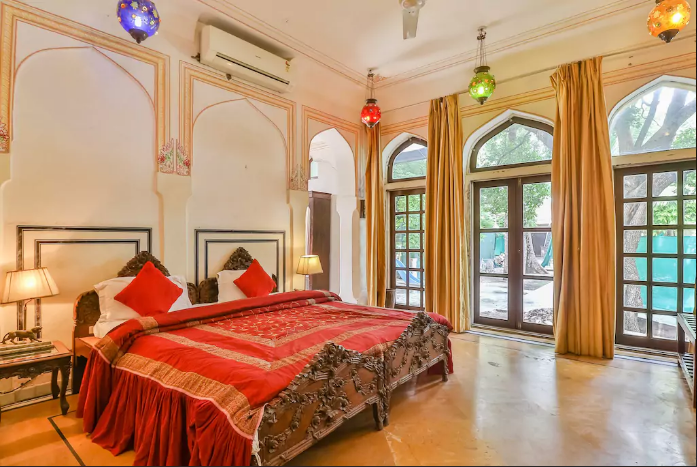 While the heritage homestay (owned by a wealthy yet, down to earth Rajput family) only offers one room, the spacious ambience of the homestay is enough to charm you into staying here for a much longer period of time. Ps. now that you know that your hosts are Rajputs, remember – they won’t leave a single stone unturned to give you the perfect form of hospitality. Looking out the window the place is generously surrounded by the green cover. And, yes, we might be gushing too much about the place, but get this! Their open balcony is a boon for those in need of peacing out in Rajput style. 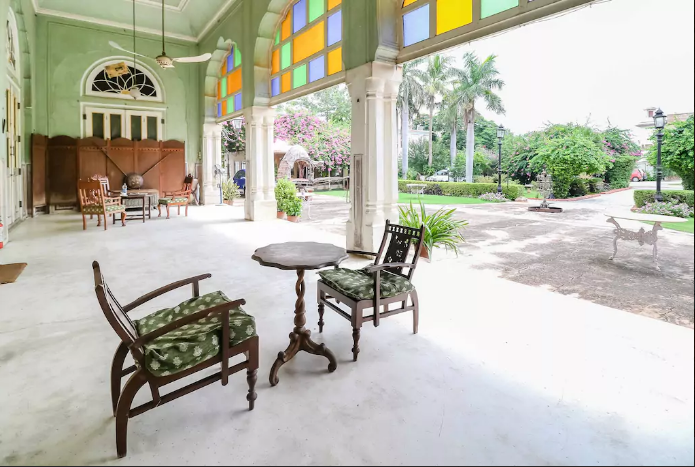 In fact, the warm feels of the place will defo make you forget the colder climate of Delhi in a jiff! And there’s more! The place offers kind sized rooms that are spacious and elegantly furnished! In fact, the furniture that adorns the room is part of an antique collection. Giving an almost soul searching vibe to every single occupant. In fact, if you get bored, just go catch a game of basketball! Or chill in the club! 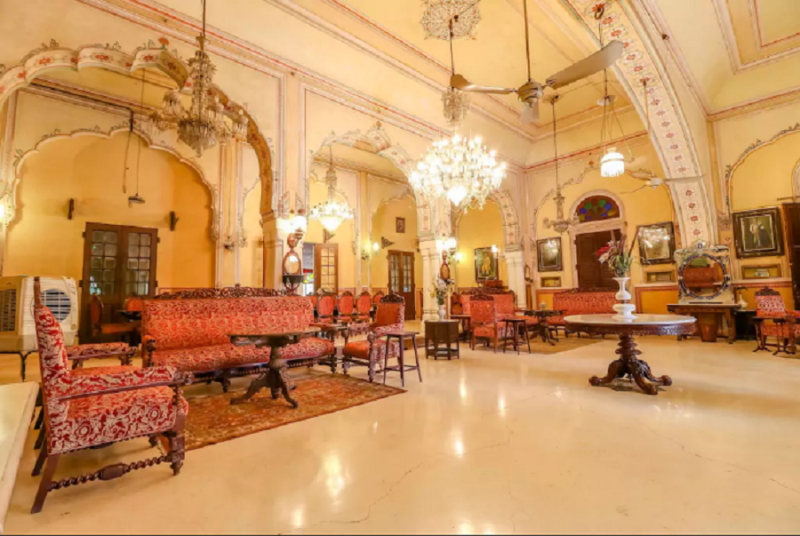 Tagged Bangalore, delhi, delhi-ncr, gurgaon, Heritage Homestay, Jaipur, Mumbai, noida, This Rare Heritage Homestay In Jaipur Is Giving A Blowout Deal At INR 3300/Night! Forget Chache Di Hatti! This Place Serves The Best Chole Bhature In Town! !